Keanu Reeves is a resilient an actor as you’ll find. His career has been a series of hits and abysmal misses, but just when you thought his career was just about finished, he unleashes John Wick on the world and reminds you that he still has something left to prove. This stylish, revenge film is the perfect adrenaline shot for filmgoers and the best action film since The Raid: Redemption. John Wick (Keanu Reeves) is a retired hitman whose wife Helen (Bridget Moynahan) has recently passed away from an unknown illness. A woman who showed John that he could find peace and love away from the life he’d known was now gone and left a huge void in John’s life. Helen knew this, and her final gift to John was to send him a puppy, named Daisy, on the day of her funeral to remind John that there was still a chance to love something besides his 1969 Boss Mustang. A love that John sorely needed to remind him that there was still hope for him in this new life. 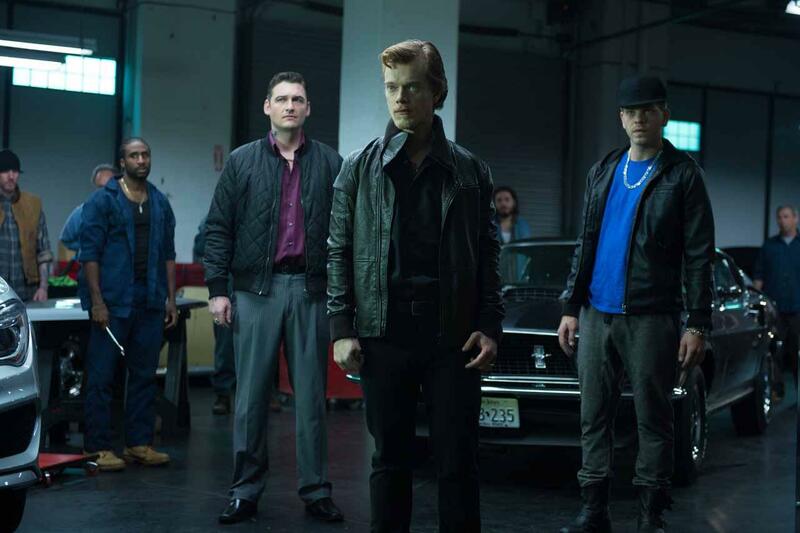 That all changes when John encounters a trio of Russian gang members at a gas station. Their leader Iosef (Alfie Allen), an arrogant son of Russian crime boss Viggo Tarasov (Michael Nyqvist), take an interest in John’s car and demands to buy it. John refuses to sell and makes a snide remark in Russian to Iosef before leaving. The three gangsters follow John to his home, where they break in, attack Wick, and kill Daisy before stealing his car. The result is the unearthing of a tranquil fury which has laid dormant until now. 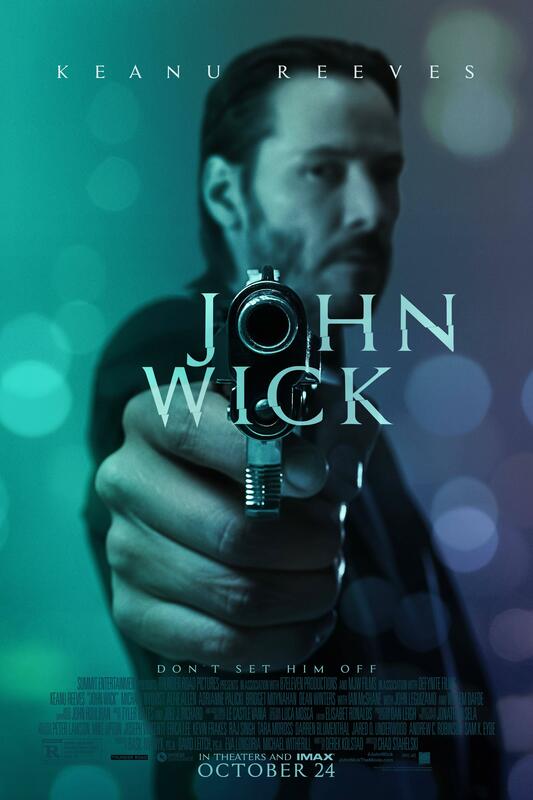 Tarasov, a former business associate of Wick, explains to his son who John Wick is and what a colossal mistake he’s made by claiming, “He’s the guy you send to kill the boogey man.” Tarasov, who knows his son and his organization are doomed, but decides to fight anyway, unleashing the entirety of his organization to stop the former hitman from reaching his intended target. As the bodies begin to pile up, it becomes clear, Wick will stop at nothing to get his revenge and will take down anyone who gets in his way. First time director Chad Stahelski, a stunt coordinator by trade, impressively creates a film that encompasses stylish, high thrill action while also creating a world of intrigue which includes secret societies and mystery alliances. Stahelski‘s never let’s dialogue get in the way of a good fight and allows John Wick to thrive on its muscles alone, and trust me, this isn’t a bad thing. The cliche’s are kept to a minimum and the action sequences are high quality and original; the non stop nature to the film never allows the audience to catch its breath. 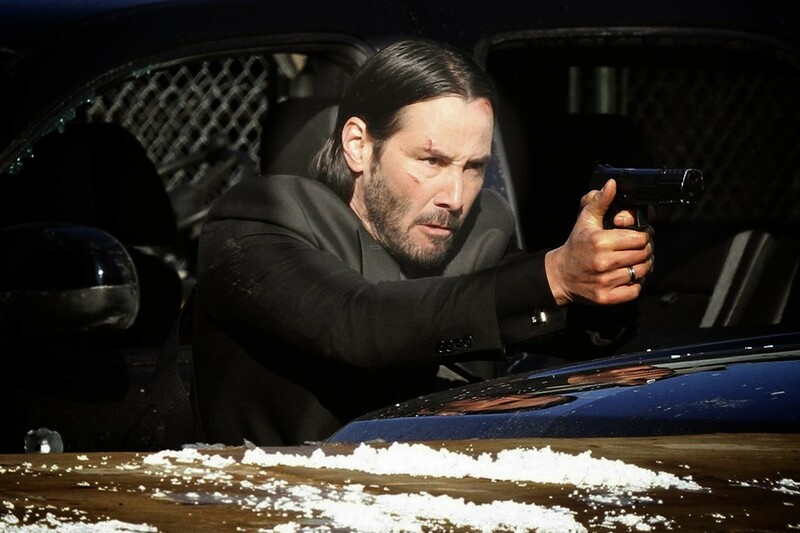 Reeves is sensational as Wick and truly amazes with his continued attraction to perform his own stunts, mixing the use of various martial arts in his fighting style. Michael Nyqvist is a great opponent for this movie. His delivery and presence compliment the tone of the picture nicely. The remaining cast, including a favorite of mine, Willem Dafoe, provide a serviceable supporting cast who’s main goal is to create a believability to this world and they achieve exactly that. 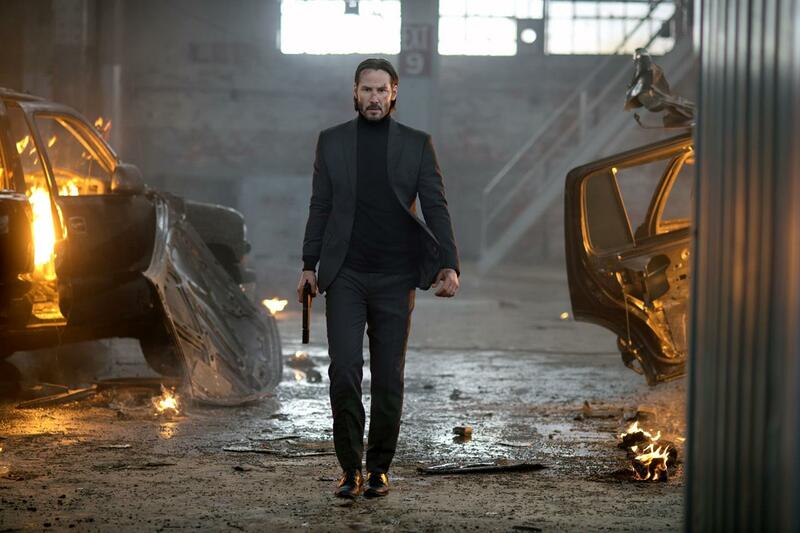 Overall, John Wick is a tremendously over the top action film that will thrill fans of Reeve’s and revenge films, but will find it’s toughest opponent to be winning over other film goers. 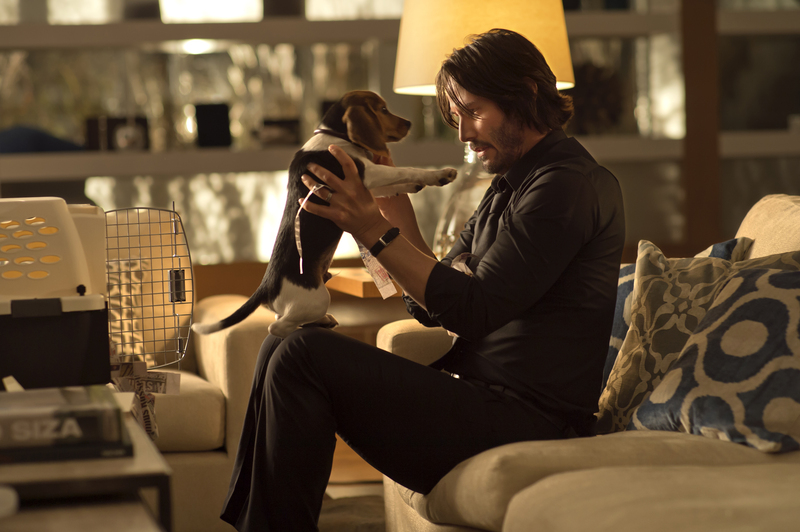 If you are looking for a smart, fun action film, John Wick is your movie. This entry was posted in Michael, Reviews and tagged Adrianne Palicki, Alfie Allen, Bridget Moynahan, Dean Winters, Ian McShane, John Leguizamo, John Wick, Keanu Reeves, Lance Reddick, Michael Nyqvist, Willem Dafoe by Michael Petrelli. Bookmark the permalink.